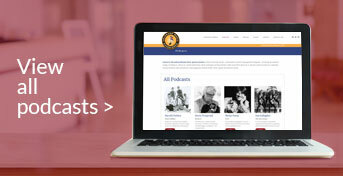 David talks to G. Brown about meeting his future wife Candy (2:57), recruiting Tommy Bolin (4:10), forming Zephyr (6:12), watching Tommy turn heads in a NYC music store (9:50), hooking up with Barry Fey for management (11:42), Steve Miller’s advice for Candy (13:55), making Zephyr’s first album (15:26), Candy calming a tear-gassed crowd at the Denver Pop Festival (16:49), hanging out with Led Zeppelin in Boston (21:23), Jock Bartley replacing Tommy for the Sunset Ride album (25:20), forming the Legendary 4-Nikators (28:10), Candy’s passing (32:06) and the discovery of a video capturing Zephyr live at the Fillmore East (33:58). 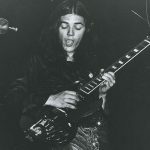 In 1969, bassist David Givens and his wife Candy, a singer and harmonica player, formed a band called Ethereal Zephyr in Boulder, with keyboardist Jon Faris and a special young guitar player named Tommy Bolin. Recruiting drummer Robbie Chamberlin and dropping the “Ethereal” part of the moniker, Zephyr quickly developed a musical mix of heavy jazz-inflected blues rock underpinned by a strong keyboard sound. Candy Givens’ charisma, coupled with Bolin’s flashy guitar work, raised the roof in Boulder and Denver clubs and college haunts. 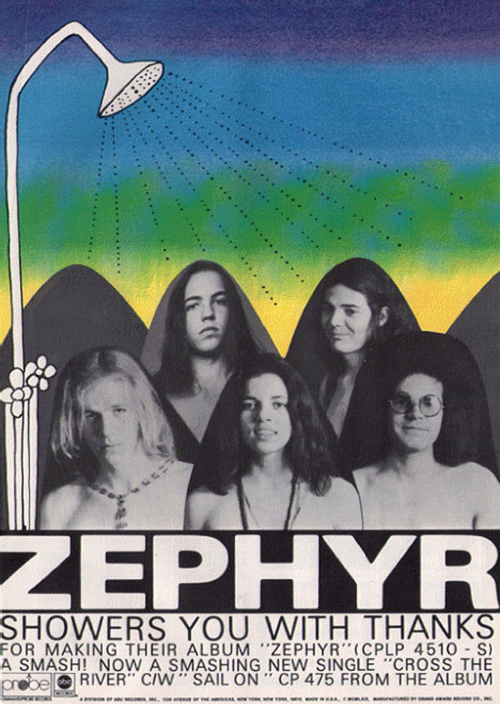 After playing West Hollywood’s legendary Whisky a Go Go nightclub, Zephyr was signed by ABC’s Probe Records. Zephyr, also known as the “bathtub” record for its cover, reached #38 on the Billboard albums chart in 1969. 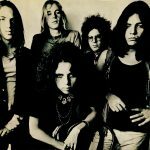 A hot live band, Zephyr performed at the riot-filled Denver Pop Festival in August 1969 and gigged solidly through 1970 and 1971. In addition to the Whisky, the act performed at such noted rock emporiums as the Fillmore and Fillmore East, and opened for such luminaries as Jimi Hendrix, Led Zeppelin, Mountain and Fleetwood Mac. Probe folded, and Zephyr returned to the studio for the Warner Brothers label, with the sessions for 1971’s Going Back to Colorado taking place in New York’s prestigious Electric Lady Land Studios. Zephyr learned the music business through painful mistakes; sad tales of managerial malfeasance, incompetence and broken promises ensued. Bolin and Berge left the band in early 1972, and Zephyr persevered with a third album, Sunset Ride, produced by David Givens and featuring guitarist Jock Bartley, who would later form Firefall. In 1973, the Givenses, Bolin and Faris joined up with Harold Fielden and Mick Manresa from Flash Cadillac to form the Legendary 4-Nikators, playing oldies every Monday night at Art’s Bar & Grill in north Boulder. They packed the place and made more money than they ever had as Zephyr. In 1976, after playing with the James Gang, Billy Cobham and Deep Purple as a hired gun and releasing two solo albums, Bolin died from a drug overdose at age 26. A fourth Zephyr album, Heartbeat, was released in 1981 with guitarist Eddie Turner sharing the writing credits, preceding Candy Givens’s death at 37 three years later.